It’s one thing to use technology in a classroom such as an interactive whiteboard and enhance your lessons with slides (and I don’t mean death by bullet point) – I mean well-thought-out slides that actually enhance and engage by adding the right amount of text and visual content so auditory, visual, and text based learners can all benefit. It’s the first year we’ve had these tools, which puts us quite behind and the pressure to use them has been a little overwhelming. Only because there’s no point using it if it doesn’t convey the message of the lesson effectively. One thing I’ve learned in creating some of these slides is to keep it simple, have little text (unless of course the objective includes having the kids read the text), and put less on each slide. One simple thing I learned this year was just to get rid of bullet points altogether. At our curriculum open house last week, I decided to start simplifying our slides and giving it more visuals that weren’t just clip art in the corner of a slide. I was happy with the edit. Not great, but overall, better. Of course, the templates that come with powerpoint are usually the main problem and have a lot to do with why presentations at meetings can often put one to sleep. Usually it’s a title followed by five to a dozen bullet points. Charts should also be visually appealing and designed so the graphs have the maximum impact in conveying its message. Some data make more sense in a pie chart, others make more sense in a bar graph. Colors can make a huge difference too. Whether at a faculty meeting or in a classroom, a presentation is a presentation, and if we are going to use visuals to enhance the presentation, we need to learn how to do it effectively. There are a lot of how-to classes in powerpoint which focus on how to add a shape, or add a transition, but not a lot of tips on how to make those visuals resonate with your audience. Like most kids, at first you want to put every bell and whistle into your slide deck, but actually thoughtfully putting it together requires paring it down quite a bit. In the end though, we are educators, not designers and haven’t been taught these things in school (in fact much of this didn’t exist when we went to school). Now, some 7 and 8 year olds seem so at home creating slides. I can’t afford to leave what I love doing to go to design school, for the sole purpose of making my lessons peppier. Yet, kids seem to be more and more visual in the way they learn and process information and it would be a shame if we didn’t tap into this media – but only if it enhances the lesson by making it more meaningful or engages kids more. In his book Brain Rules, Dr. Medina mentions that the brain processes information in a visual way. Rule #8 – Sensory integration (stimulate all the senses) and Rule #9 – Vision Trumps All Other Senses means that we need to also think visually. Graphic organizers are wonderful, when getting kids to organize their thoughts before they begin to write. In order to make slides effective though, one really has to observe others who do this well. Below is a youtube video of a powerpoint slide deck. The first two slides are just credits but do go past it. It’s worth it. After that, watch how artfully the elements are put together. And yes, the entire thing was done in powerpoint 2010. It’s a little ironic that our students are using computers with powerpoint 2010, but many of their teachers are still using 2003. In some ways though, that constraint has helped, as it has forced me to keep things simple. Transitions are only effective if they add to the meaning. Otherwise, they become clutter. Microsoft paid this company to show the potential of using many of the features of powerpoint which may make part of it seem busy, but boy, if I could learn to do half of those things. Of course when you find out how long it took a team of people to do this, you have to wonder, is it realistic for teachers to prepare lessons this visually appealing? Am I going to have to learn how to animate next? Furthermore, educators need to learn more about “fair use” and “creative commons”. Not just for our own use, but to teach children how to use their sources responsibly. It’s really a confusing and difficult thing in this rapidly changing world. Is linking to a url of an image ok (apparently it’s ok to link to an article)? I’ll save that for another post. Anyway, here’s that video. Hopefully it inspires us rather than the opposite. … which means my back to school panic mode has begun to set in. For those who don’t work in fields where they get their summer’s mostly off, every summer – just when you think that the slow pace of the long days is really the way we should live, the reminder that Labor Day is right around the corner comes as a bit of a jolt. The summer letters written to welcome the new class was due, meetings among faculty (not for social reasons) are starting to happen, my work email inbox is getting a little fuller, and I received my school’s Spring/Summer update. The latter reminded me that I’ll be moving to a brand new classroom in a building that will focus on sustainability. 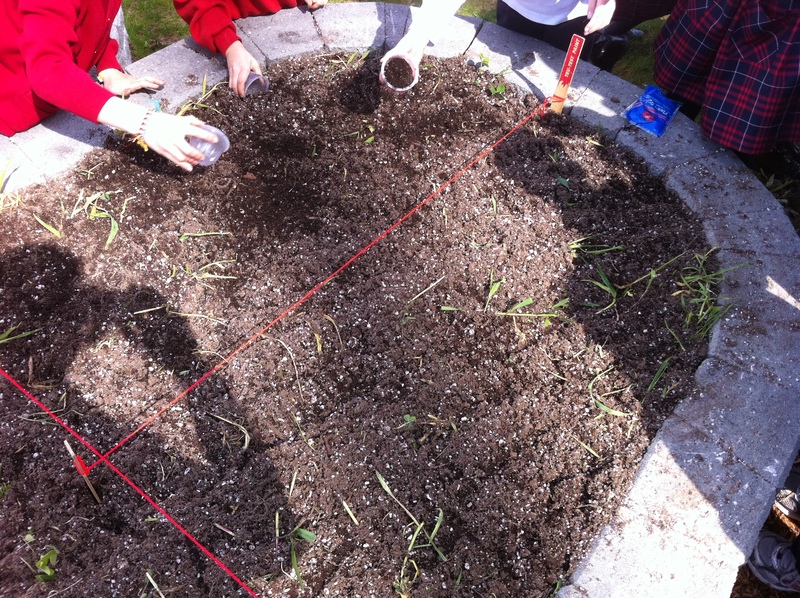 One of the key features will be that each grade will have its own raised garden bed to tend to each year. What do I know about gardening? First of all, I suppose I will have to build in time to the schedule so that the children can plant, water, fertilize (naturally, of course), create garden signage or art, learn about where food comes from, insects and animals, native and sustainable plants, just to name a few. Then of course, we would make sure to link and integrate math, reading and writing while we’re at it. I borrowed this great book from the public library (but to be honest, it’s a little overwhelming for someone who only just learned how to prune roses – thanks, Susan!) 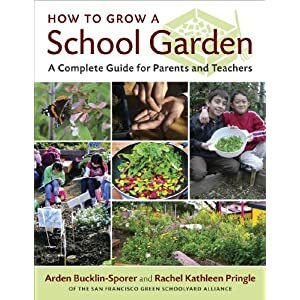 called How To Grow A School Garden: A Complete Guide for Parents and Teachers. Blogging about it will force me to read and learn. At least the first few chapters are straightforward. Ch. 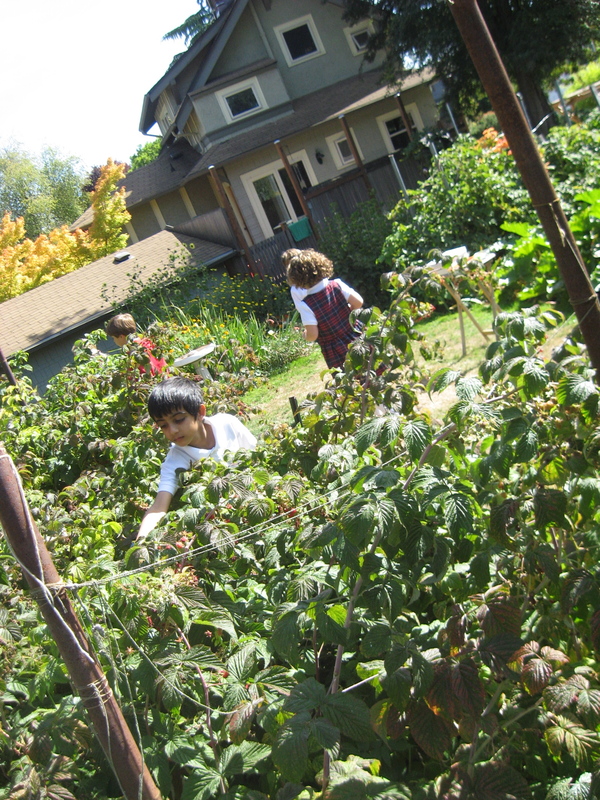 1 Why School Gardens? You can’t really argue with those, can you? Luckily, our lower school math teacher is also a master gardner and many of my co-teachers have the expertise to get us novices started. 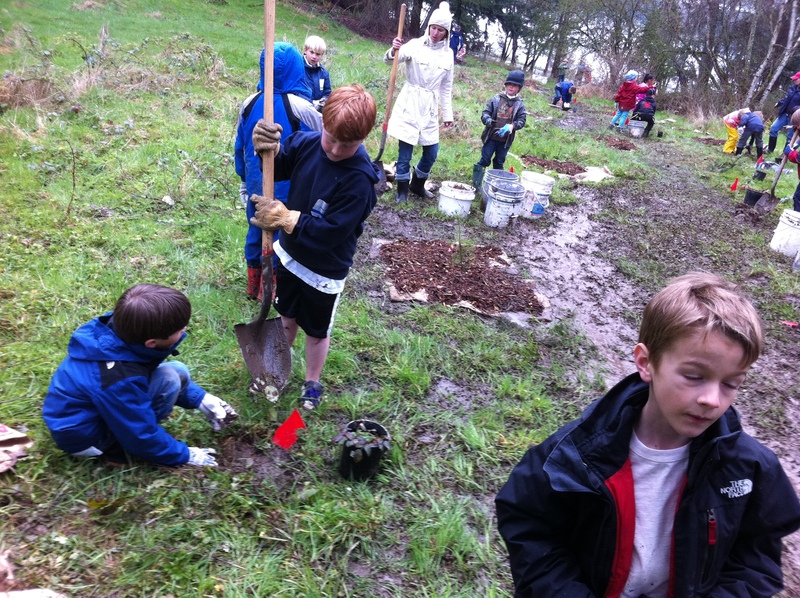 Those who were most interested, parents and teachers alike were consulted, and with a new school being built, I’m assuming that the garden will magically just appear at some point. And this chapter mentions the issue of funding (many thanks to our generous community who is supporting this and our development admin team). Will there be a tool shed? Will that shed contain clipboards, writing materials, gardening supplies, etc. Can that shed double as a teaching area? Are the pathways inviting for little ones? Well that was also taken care of by the garden committee and architects, so again, my fingers are crossed. I have always found fundraising a great “real world” way to involve kids, but since we are an entire school that tries to raise funds each year, fundraising as a class activity has been frowned upon. If you think of the math involved, the publicity and outreach, and the positive social learning, it can be a great learning opportunity. Number 58 is a great one. One of my colleagues loves taking off her shoes and I can only imagine with the new building and its radiant heat, there will be plenty of opportunity for that. People may give her a hard time about it, but I think soon many will follow her lead. We sometimes don’t recognize nor explore all of our senses. I feel fortunate enough that we are going to have a garden of our own and that the kids will get to grow, graph, measure, and of course eat. This type of learning uses every sense.